Alloway continues to offer testing using the latest technology and instrumentation. 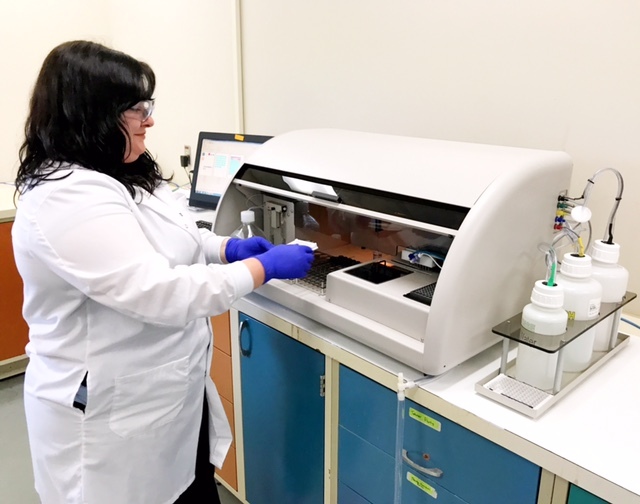 With increasing regulatory sampling and analytical requirements for total microcystins testing, Alloway recently purchased an Abraxis CAAS System (Cyanotoxin Automated Assay System) to meet the growing demand and provide faster turnaround time. This new system automates the entire assay process, from loading samples on the plate to reading them. Alloway is currently using this new instrumentation for Ohio EPA approved method 701.0 and will soon expand capabilities with this equipment to include UCMR4 testing by Method 546. For more information about Alloway’s total microcystins testing, contact us at support@alloway.com.